Included in one of Toyota's luxury sedan lines, Toyota Crown here succeeded in creating the image of luxury sedan used by ministers. 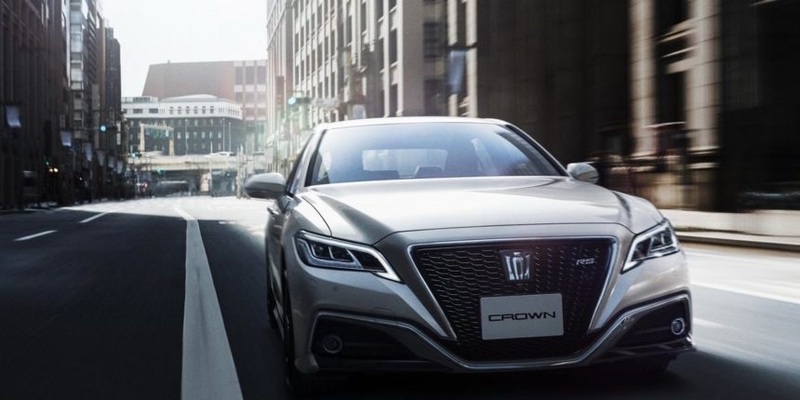 Crown itself has scored many generations, and now we see this is the 15th generation Toyota Crown. 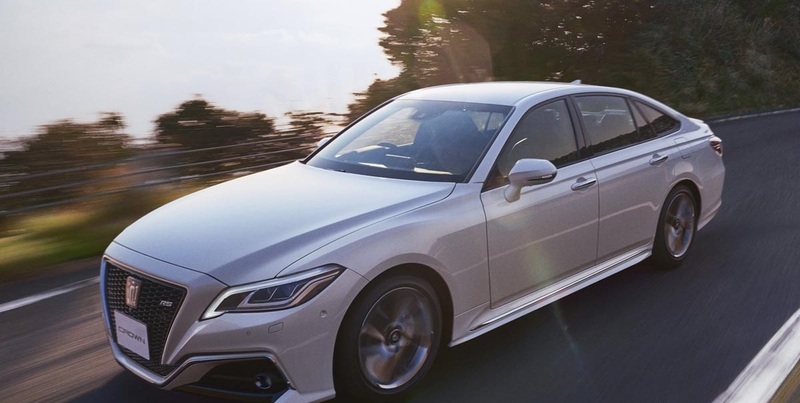 Honestly, this Crown's looks are pretty great for an official car, though we're not too surprised because there's already a Toyota Crown Athlete whose face is great too. Like the tradition of the Toyota Crown, the logo in front of the car is not an ordinary Toyota logo, but a crown logo. 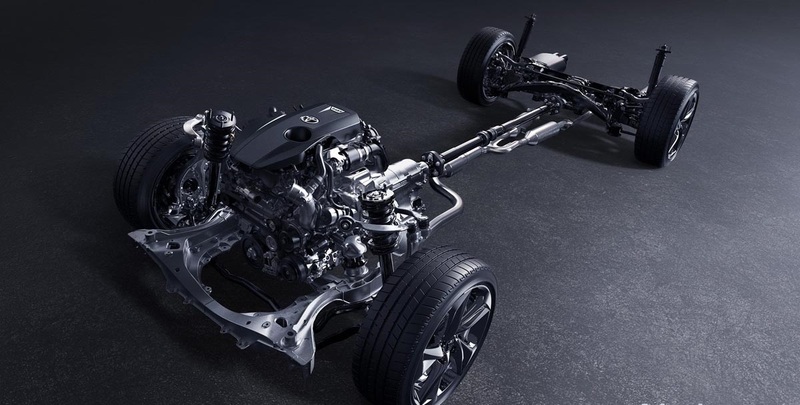 Toyota Crown chassis is already using TNGA, and suspension rely on multi-link suspension on all four wheels. No half-hearted, Toyota until willing to test this car at the Nurburgring before the official launch. Which minister who wants to speed up in Nurburging wearing Toyota Crown? Maybe it's because now there are variants of Toyota Crown RS is more sporty. Crown RS will get extra intelligence like front stabilizer, new damper, 18 inch rim and rear spoiler. Crown RS variant is available in all Crown engine options, even for Crown RS engine 2.000 cc turbo will be reinforced back and rear damper sport for the sake of better handling. Looks like all car brands like the name "RS" yes for the variant sporty. Toyota Crown 2018 interior is not far from the impression of simple, clean and elegant. 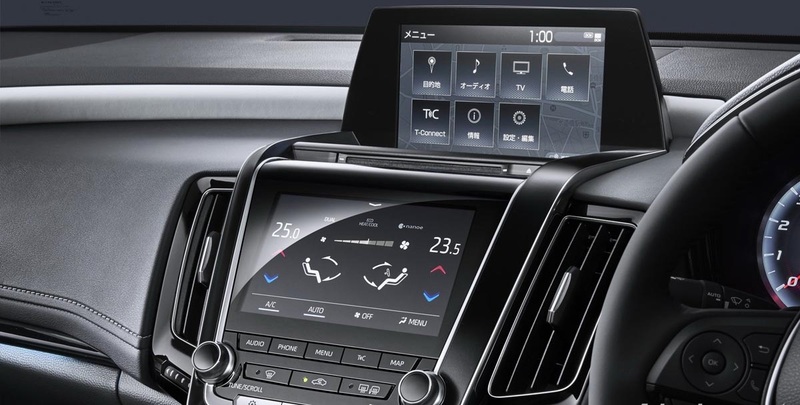 Like the new Audi A8 and A7, Toyota paired 2 screens in the center of Crown, and this is just for Toyota itself. The upper screen stands upright like a tablet PC to run all the digital features of the car, while the middle to control the basic functions of the car such as air conditioning, heating upholstery, hybrid car system management and others. 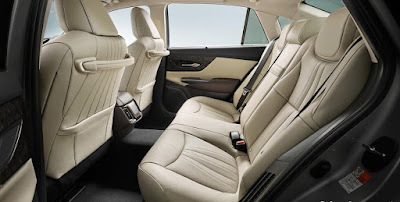 Toyota Crown byToyota as their first car connected car status, and it is available in all variants ranging from the cheapest to the most expensive. 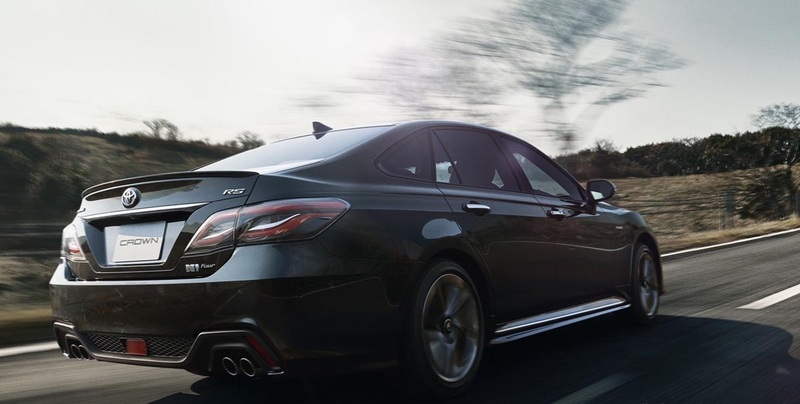 All models already have data communication module as standard, offering 24/7 connectivity services that focus on safety, security, and convenience based on real-time driving data. Like other cars, Toyota Crown has a lot of driving modes, but there is a special "Custom" mode for Crown RS. To the rear cabin, luxurious as it should a Crown, and the room also looks spacious. Like Alphard and Vellfire, there is a handle grip to help facilitate access in and out of rear passengers. Ventilation special rear passenger air conditioning was ready, but somehow it seems there is no air conditioning control for rear passengers. Perhaps it is easier to ask the driver just to make such a thing. 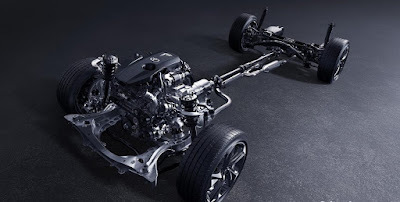 There are 3 types of engine choices for Toyota Crown from Japan. The bottom choice is a 2,000 cc 4-cylinder turbo engine powered 241 hp and 350 Nm of torque, but for this 2,000 cc engine there is no hybrid option. 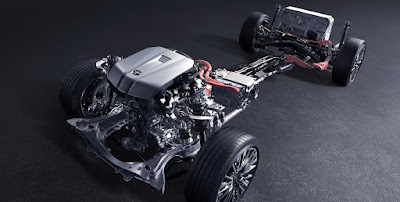 New to the middle option, we can see the Crown hybrid engine with 2,500 cc 4-cylinder Dynamic Force, assisted by an electric motor to provide power of 222 hp. The large-engined Toyota Crown carries a 3,500cc V6 unit mated to an electric motor to produce a combined 354 hp power. 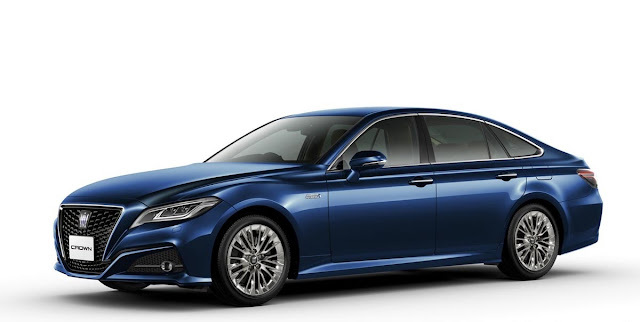 Using 8 speed auto gearbox, Toyota Crown with turbo engine and 2,500 ccc Dynamic Force hybrid can be selected with 2 types of drive, ie RWD or AWD. Special variant V6 hybrid, Toyota Crown is only available with RWD drive only. Toyota Crown is expected to sell as many as 4,500 units per month when the car is officially sold this weekend. Price affairs, Toyota Crown priced starting at 4.6 million yen or approximately 600 million rupiah. 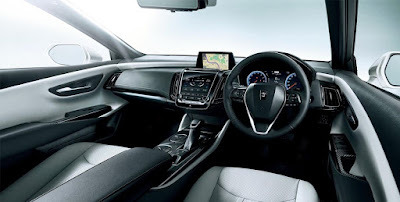 Well, just wait whether the officials or ministers in Indonesia interest with the new Toyota Crown, or perhaps businessmen and successful businessmen interested in this car. 0 Response to "Toyota Crown 2018, Sedan Minister, Fabulous and Dusted Digital Technology"